Your health code rating is critical. Not only does it determine whether you will have to pay fines or face other penalties from municipal authorities, but it also determines whether you earn the trust of your customers – as well as their future business. There’s nothing like an “F” rating to close down a restaurant fast or to send sushi lovers to another express eatery. You don’t have to commit obvious violations like leaving meat on a counter all day or letting dogs run through your kitchen to get a low health code rating. Even something like neglecting your tile and grout cleaning can lead to marks against you, which can lower your score. Whether you’re frying onion rings in the deep fryer or just flipping burgers on the grill, grease will splatter, and you need to do a great job cleaning up at the end of the day. But even with routine cleaning, the grease can build up on the tile and grout, which will eventually start to attract rats, flies, and other pests. Of course, if those buggers are around, you’re going to get a bad health code rating. The best thing you can do is schedule a mesa restaurant tile and grout cleaning every six months or so to keep your floors spotless. The commercial tile floor cleaning will also lift out stains from the heavy foot traffic you get in the kitchen, and it will reduce fall risks in the kitchen from those slippery floors. Heavy foot traffic, grease, and water can all break down the grout between your tile over time, both in your commercial kitchen and in areas where guests will be, such as the dining area or the bathroom. The grout serves an essential, protective role for the tile, so if it breaks down, it will allow dirt and water to get deep inside the floors under the tile. Over time, mold and mildew can easily spread, and that presents a serious health problem, as well as potentially expensive repairs. Getting regular tile and grout cleaning will protect your grout from damage and keep the mold and mildew out of your floors. You’ll need to follow it up with grout sealing, as well, to keep the grout protected against future damage. Health ratings also take physical safety into consideration. If your tile floors are broken or are a trip hazard, that can lead to falls, which are certainly a health threat. By investing in routine commercial tile and grout cleaning, you not only keep your tile floors looking good, but you also keep them sanitized and in good condition. The tile will not be as vulnerable, so it will not be as likely to break down and cause uneven patches of flooring that can lead to trips and falls. When the professionals clean your floors, they will also let you know if they see any structural issues. Always take care of repairs as soon as necessary to keep your floors smooth and even. Mold and mildew aren’t the only nasty things that can grow and thrive in your grout and tile. Bacteria of all kinds can settle into those tiny pores and spread like wildfire. Bacteria can cause sickness in your employees and your customers, and it can certainly lead to health code violations. Your own tile floor cleaning can help to fight bacteria, but it won’t be enough to eradicate it. The pores can go deep into your tile and grout, and so can the bacteria. You need commercial tile and grout cleaning to root out the bacteria. Follow that up with sealing, which will sink into those pores and keep everything on the surface, where it can be easily cleaned. Whether you have a five-star restaurant or a fast food joint, you need to keep the highest health code you can. By investing in restaurant tile and grout cleaning, you can make a big impact on the cleanliness of your business and help keep your health code rating where it needs to be. 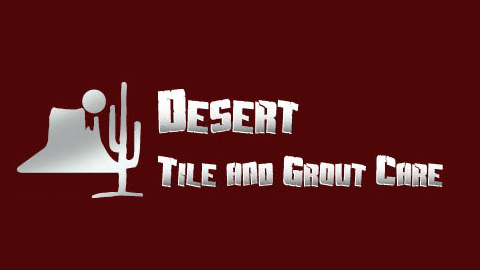 Desert Tile and Grout Care offers professional restaurant tile and grout cleaning in Arizona. We use the tools and techniques that eradicate bacteria from deep within the tile, lift out stubborn grease and stains, and make your floors shine. You’ll be able to present a more professional image to your customers, and you’ll pass your health inspection with flying colors (as far as the floor is concerned, anyway). Call us in Arizona to get a quote for your tile floor cleaning or to learn more about us.